UNSW is renowned for the quality of its graduates and its commitment to new and creative approaches to education and research. Its motto - Scientia Manu et Mente ("Knowledge by Hand and Mind") - encapsulates the University's central philosophy of balancing the practical and the scholarly. UNSW is a founding member of the prestigious Group of Eight research intensive universities in Australia and a member of the Universitas 21 international consortium. Established in 1949, UNSW has expanded rapidly and now has close to 40,000 students, including more than 7000 international students from over 130 different countries. The University offers more than 600 undergraduate and 300 postgraduate programs, and has developed an extensive network of alumni chapters throughout Asia. The idea of founding the University originated from the crisis demands of World War II, during which the nation's attention was drawn to the critical role that science and technology played in transforming an agricultural society into a modern and industrial one. 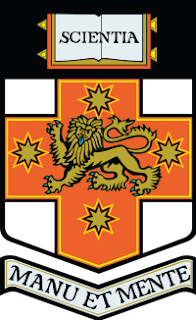 The post-war Labor government of New South Wales recognised the increasing need to have a university specialised in training high quality engineers and technology-related professionals in numbers beyond that of the capacity and characteristics of the existing University of Sydney.This led to the proposal to establish the Institute of Technology, submitted by the then New South Wales Minister for Education Bob Heffron, accepted on 9 July 1946. Instead of creating a completely new Institute, the government decided to have the existing Sydney Technical College operating at Ultimo substantially expanded. 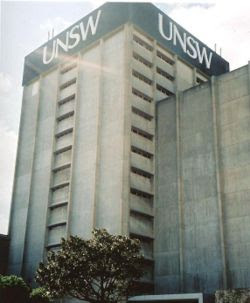 The University, originally named the "New South Wales University of Technology", gained its statutory status through the enactment of New South Wales University of Technology Act 1949 (NSW) by Parliament of New South Wales in Sydney in 1949. In March 1948 classes commenced operation with its first cohort of 46 students pursuing programs including Civil Engineering, Mechanical Engineering, Mining Engineering and Electronic Engineering.At that time the thesis programmes were innovative, in the sense that each course embodied a specified and substantial period of practical training in the relevant industry. It was also unprecedented for tertiary institutions at that time to include compulsory instruction in humanities. Initially the University operated from the inner Sydney city campus at Ultimo (the current site of the University of Technology, Sydney). However, in 1951, the Parliament of New South Wales passed the New South Wales University of Technology (Construction) Act 1951 (NSW) to provide funding and allow buildings to be erected at the Kensington site where the university is now located. The main UNSW campus is located on a 38-hectare site at Kensington, seven kilometres from the centre of Sydney. Other campuses are the College of Fine Arts (Paddington), UNSW@ ADFA (Canberra), and sub-campuses at Randwick and Coogee, as well as research stations around NSW. UNSW has a broad disciplinary base, with Faculties of Arts and Social Sciences; Built Environment; Engineering; Law; Medicine and Science, as well as the College of Fine Arts, UNSW@ADFA and the Australian School of Business, incorporating the Australian Graduate School of Management. UNSW is host to groundbreaking research in fields as diverse as quantum computing, molecular engineering, photovoltaics, robotics, biomedical research, financial markets and design and interactive cinema. It has strong collaborative links with industry and business, consistently performing at the top nationally in Australian Research Council Industry Linkage Grants. UNSW expertise is also regularly sought after by business and government for a wide range of consultancy and training services. UNSW has identified environmental sustainability as one of its strategic priorities. In 2007 it established the UNSW Climate Change Research Centre – bringing together more than 60 researchers from various disciplines across the University, it will be the largest centre of its kind. The University is also walking the talk with initiatives aimed at making the UNSW campus the greenest in Australia. UNSW has almost 100 research, teaching program and community centres. Its research centres foster multidisciplinary research and include national centres such as the National Centre in HIV Epidemiology and Research, ARC Centres of Excellence such as the Centre for Advanced Silicon Photovoltaics and Photonics, and UNSW centres such as Brain Sciences UNSW. Construction has also begun on the Lowy Centre for Cancer Research - the largest integrated cancer research institute in the Southern Hemisphere. The University is a member of 15 Cooperative Research Centres and is affiliated with a number of prestigious medical research institutes, including the Garvan Institute of Medical Research and the Victor Chang Cardiac Research Institute. The Financial Times (UK) 2006 table of Executive MBA programs placed AGSM as Australia’s leading business school with an international ranking of 23, an improvement of 12 places since 2005. AGSM is the only Australian business school featured in the rankings. UNSW received the maximum five-star rating for nine key performance indicators, well above any other G08 University, in the 2008 Good Universities Guide. In total points across all categories, UNSW is the national leader, outrating all other universities. It achieved a top score for student demand, graduate starting salaries, research grants, research intensivity, student–staff ratios, cultural diversity, gender balance, and international enrolments. UNSW has been judged one of the top three universities in Australia for the quality of its learning and teaching, and assessed as number one in Australia for its teaching performance in business and law. The Federal Government’s Learning and Teaching Performance Fund for 2008 showed UNSW outranking all other GO8 universities. It will receive a total of $9.5 million from the Fund, the second largest allocation to any Australian university. The Learning and Teaching Fund rewards universities that demonstrate excellence in teaching and learning for domestic undergraduates. The University also regularly achieves top awards for individual teachers. This article is taken from http://www.unsw.edu.au/about/pad/about.html.